An exhibition entitled ‘Syria – Berlin: Home or New Beginning?’ is taking place from 8th November to 30th December 2016 in Berlin. Organised by the Goethe Institut, the exhibition is focussed on culture in Syria, Berlin and life between two homes. Since the onset of the Syrian Civil War in 2011, increasing numbers of Syrians have fled their homeland and have arrived in Berlin in search of safety. Here, they are faced with encountering a new culture and society in order to make themselves a new home. The Goethe Institut in Berlin is therefore running an exhibition which will focus on life in Syria and the move to Germany. 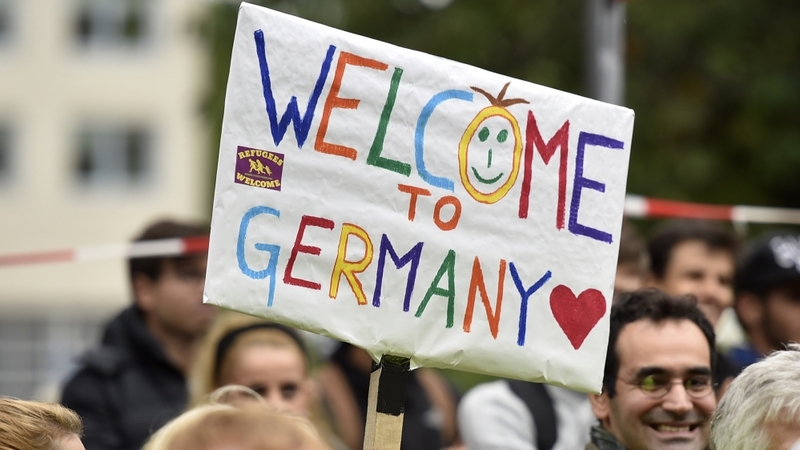 This will not only help to educate Germans on the culture of the refugees’ homeland, but will also help to build cultural bridges and aid integration. The exhibition will explore themes across both cultures. Exhibits about the history, art, literature and daily life of the Syrian cultural region will be combined with those focussing on the war in Syria and life in a warzone. The exhibition will also include a section on Syrian contemporary art, entitled ‘Contemporary voices: Syrian artists, authors, activists’. Further to this, the section ‘On the run: The universal experience of displacement’ will explore the escape from war in a more general context. This aims to increase German understanding of the situation in Syria. Alongside exhibiting material on life and culture in Syria, the exhibition will also explore the experience of a refugee arriving in Berlin for the first time. A section entitled ‘Arriving in Berlin: Halfway house or new homeland’ will examine the theme of living a life stranded between two vastly different cultures. Material in the exhibition will be displayed in three different languages: German, English and Arabic. This will make the exhibition accessible to those from all cultures, which fits with its central aim of encouraging, stimulating and enriching dialogue between local Berliners and newly-arrived Syrians. The exhibition is running within the framework of the ‘Goethe Institut Damascus ǀ In Exile’ project. This project was started by the Goethe Institut Berlin in recognition of the Goethe Institut in Damascus, which was forced to close in 2012 for security reasons. The project aims to create a “symbolic place for cultural encounters in Berlin”. The Damascus project is being held in central Berlin from 20th October to 5th November, and includes a variety of events from workshops and discussions to concerts, performances and film series. More information about further events taking place under this umbrella can be found on the Goethe Institute’s website.